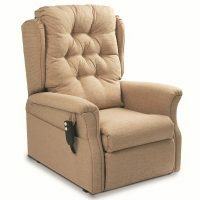 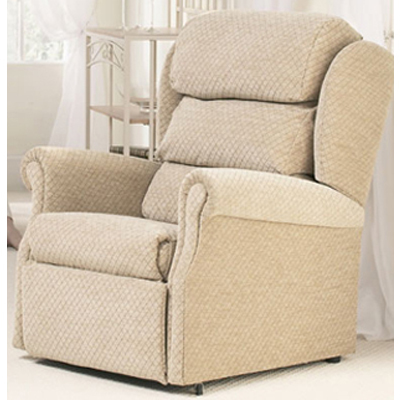 The Brecon Rise & Recline Chair offers optimum comfort and style. 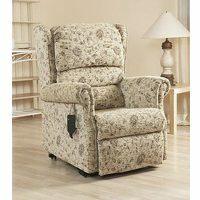 It features scroll arms with full chaise footrest and boasts a three cushion waterfall back that can be removed and repositioned vertically as desired. 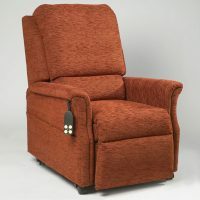 An optional headrest is also available for the Brecon model, that can be manually adjusted, moving the top head-roll up to 3″ forward. 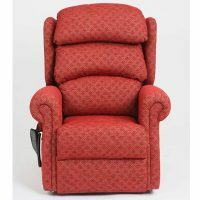 The Brecon recliner can be made to order with a choice of seat dimensions, motor mechanism, weight capacity and in a huge choice of fabrics.